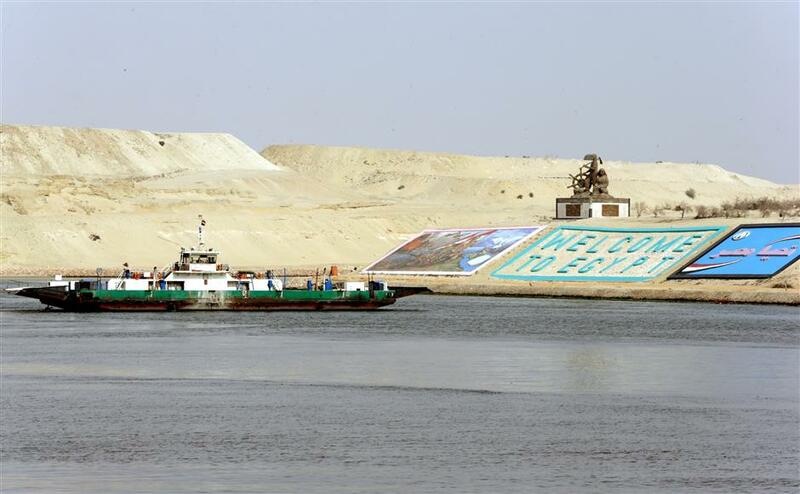 The Chinese investment in Egypt's Suez Canal Economic Zone (SCZone) has been a success story of the productive China-Egypt economic partnership. The Chinese investment in Egypt's Suez Canal Economic Zone (SCZone) has been a success story of the productive China-Egypt economic partnership, Mahfouz Taha, SCZone vice chairman, told Xinhua in an exclusive interview. Taha hailed the investment attracted by Chinese industrial developer TEDA to the economic zone, including China's fiberglass giant manufacturer Jushi, which has helped Egypt become one of the largest fiberglass producers and exporters in the world. "We consider a developer like TEDA and a tenant like Jushi our partners in development. TEDA is the largest industrial developer in the SCZone, which is another success story," the Egyptian official said. Located in TEDA's industrial zone in the Ain Sokhna district of Suez province east of the capital Cairo, Jushi Egypt has recently celebrated the completion of a 200,000-ton fiberglass production base in its factory. Jushi is currently the largest Chinese manufacturing project in Egypt with an investment of more than 600 million U.S. dollars. It has an annual production of more than 220 million dollars and an annual export of about 200 million dollars. Taha said that Jushi has not only provided more than 2,000 job opportunities for Egyptians, but also paid the Egyptian treasury more than 300 million Egyptian pounds (US$16.8 million) in taxes and over 600 million Egyptian pounds in customs over the past four years. "Our relationship with the Chinese group of investors here in Egypt is based on partnership and we regularly meet together and resolve any problems facing them. Jushi's achievement is one of the results of this cooperation," Taha said. TEDA is currently developing a total area of 7.23 square km in the Suez Canal economic region. "TEDA completed the first phase of development of about 1.25 square km in two years, and it is currently working on the second phase that targets the development of 6 square km," Taha explained. He added that the rise in Chinese investment in Egypt has turned the strategies and policies of the China-Egypt partnership into a reality. "We wholeheartedly welcome Chinese investments in Egypt and they have the full support of the Egyptian leadership and government," he added. In recent years, the Sino-Egyptian ties have been elevated to the level of comprehensive strategic partnership, thanks to the strong support from the leaderships in both countries. Accompanied by a high-profile delegation of ministers and officials, Egyptian President Abdel-Fattah al-Sisi is scheduled to visit Beijing to attend the summit of the Forum on China-Africa Cooperation slated for September 3-4. Taha revealed that four contracts on new Chinese investment in the Egyptian economic zone are expected to be signed during Sisi's visit in Beijing. "One of them is about the establishment of a factory for China's textile giant Shandong Ruyi Technology Group with huge investments and thousands of job opportunities," Taha pointed out. He noted that the other contracts are about another textile factory, a factory for gypsum board production and a factory for producing modern construction materials. The SCZone senior official also commended the work of China Harbour Engineering Company that has recently started the main phase of the construction of a new terminal basin for Emirati corporation DP World, the main investor and container operator in Sokhna Port in south of the Suez Canal. Taha said that Egypt offers many incentives to attract foreign investors, including a new investment law, an investment-friendly environment, security, cheap utilities and skilled workers. "Egypt is the best choice for the Chinese investments in Africa, the Middle East and the Arab world," he said. He stressed that his country eyes further cooperation with China in the economic zone in the light of China's Belt and Road Initiative. Proposed in 2013, the initiative refers to the Silk Road Economic Belt and the 21st Century Maritime Silk Road. It aims at building a trade and infrastructure network connecting Asia with Europe and Africa along the ancient Silk Road trade routes. "We are stretching our hands to our Chinese friends and we are encouraging all aspects of the BRI," said the Egyptian official, stressing that Egypt can be a main hub for the initiative rather than a transit point.